As a privately held business just outside of Edmonton, Alberta, Millennium Cryogenic Technologies manufactures the best in standard and custom cryogenic equipment manufacturing. Our long-established business relationships allow us to provide cryogenic equipment manufacturing services to some of the world’s largest and most prestigious organizations. Whether we are working with a small company in need of stator removal, or servicing the aerospace industry by increasing the durability of their materials, each and every customer gets our best service. Millennium works closely with an experienced engineering firm that has an extensive background in design and fabrication so that we can develop components for customers in many high-precision industries, such as the aerospace, medical, and automotive fields. 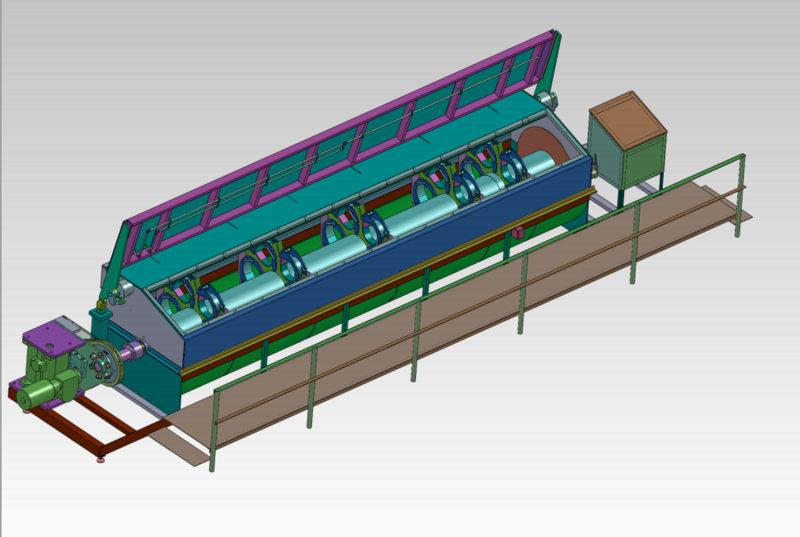 Our designs meet the highest quality cryogenic equipment manufacturing standards. You too can become one of our clients and discover how cryogenic equipment manufacturing can help solve numerous complex engineering problems. From flight-tested aerospace components, to cryogenic testbeds and after-market automotive parts, we have a proven track record of success in precision engineering. Contact us today to learn more about how cryogenic equipment manufacturing can benefit you. If you have a fleet of vehicles, you know maintaining them is a huge business expense; but did you know that cryogenically treating your fleet’s brake rotors is one of the most effective ways to manage costs while increasing safety? Let’s set aside fleet vehicles for a moment and consider the standard family sedan. As of 2011 Census data, over 15 million Canadians commute to work and four out of five use a private vehicle to do so. The average commute time one way was just over 20 minutes, but significantly longer (30 – 45 minutes) in parts of Ontario. Let’s face it. Canadians from coast to coast are on the road, in private vehicles, in tractor trailers, in fleet service and more. What is that doing to our brakes? It’s wear them out – fast. Most brake rotors are made from grey cast iron. Cast iron properties are determined by both chemistry and processing, which means the properties of grey cast iron can be changed after the item is forged. That’s a good thing, because cast iron, while holding up well during compression, breaks down quickly under excessive tensile loading. When you consider the weight brakes carry in fleet service such as mail trucks, courier vehicles, and travel trailers, you realize just how much is riding on their optimal performance. No matter what you drive or how carefully you maintain it, your brakes are going to wear out. Every time you apply the brakes, you wear them. If you are an aggressive driver or utilize a heavy or transport vehicle, your brakes will wear out faster. Cryogenically treated brakes are proven to be harder, more durable, last longer and be more resistant to warping. This is because cryogenically freezing brake rotors changes the crystalline structure. Remember, cast iron is not “set in stone” so to speak. Thanks to its unique chemistry, its structure can be altered after it has been formed. Here at Millennium Cryogenic Technologies, we take advantage of this chemistry loophole to provide stronger, cost effective, safer brakes. Interested in cryogenically treated brake rotors, sales and service in Edmonton and area? Whether you are shipping your rotors to us here in Nisku or in need of pre-treated rotors, we can help. Contact us today to be safer on the road tomorrow. How much does your business depend on its fleet vehicles for success? Many businesses, government agencies, and organizations operate through their fleet vehicles—car rental companies, taxi cab companies, public bus companies, police departments, delivery companies and mail or parcel delivery services like UPS—even retail organizations and drug companies purchase fleet vehicles for their sales representatives to drive. These organizations depend a lot on their fleet vehicles, and their vehicles, in turn, put on a lot of miles—and so do their brakes. 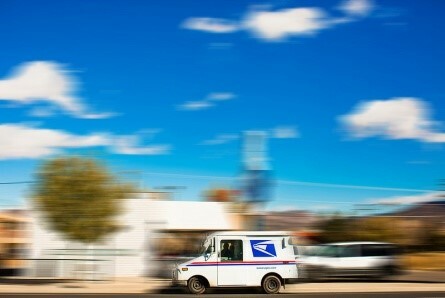 The more mileage these fleets of vehicles rack up, the more brake pads and rotors they go through (you might be surprised to discover how hard your mail carrier is on his brakes—or maybe it’s actually pretty apparent), which can add up—especially for some of the larger fleet vehicles out there. Cryogenics, however, has the solution. What do cryogenics have to do with brake rotors? Cryogenically treating your brake rotors can actually extend their longevity, which is an important feature for any organization that demands a lot of its fleet vehicles. Putting the rotors through cryogenic processes can prevent rust formation and strengthen them so they can handle the aggressive driving of the angriest mail carrier without wearing down or warping as quickly as non-cryogenically-treated rotors would. Using quality braking equipment that is dependable and that can outlast the alternative brake equipment is a huge benefit to business. It decreases the downtime of your vehicles and saves you money on all the extra brake rotor replacements you won’t be needing anymore. What are the benefits of using cryogenically treated brake rotors on your fleet vehicles? Cryogenic processes can extend the life of your brake rotors two- and even three-fold, and cryogenics can reduce rotor warping, diminish grooving, and protect against heat checking, even in high stress situations—and it won’t impact the friction performance of your rotors or increase rotor noise. The material brake rotors are usually made out of, called GCI or Grey Cast Iron, is an amorphous, non homogeneous, complex structure—in other words, the particles of the GCI are arranged in no order, are non-uniform, and may have discontinuous properties. When they break, crack, or fracture, they tend to form curved, irregular surfaces instead of the 90 degree straight angles of crystalline substances. In order to strengthen the rotor, the GCI is founded through a process of integrating internal crystalline stresses. Cryogenic processes allow this infusing to be performed while the crystalline structures are at their lowest energy state, relaxing the crystal and, in turn, increasing the rotor’s hardness, creating a more uniform structure which can be machined smoother with greater ease, increasing the ability of the material to stand up to heat without warping or heat checking and reducing the rate of wear. Cryogenic processes form an innovative means of increasing the structural quality and integrity of the brake rotors, creating a product that performs better with more efficiency and reliability, making fleet vehicles a lot safer when they are out on the roads. It’s hard to watch the news, glance through the internet, or read the newspaper these days without coming across some mention of the state of the environment. Unfortunately, one of the top problems at the moment is actually in the landfill. Our landfills are overflowing to the point where random garbage islands are forming in the middle of the ocean. And the problem isn’t exactly improving. With every plastic bottle that is tossed and every flat tire that gets changed, our earth is becoming a little more saturated with garbage. But not all forms of garbage are quite as problematic as the others. The major problem involves those materials that take an exponentially long time to break down—materials like plastic and rubber. Fortunately, technological innovation may be able to help. Here at Millennium Cryogenic Technologies, we believe that our cryogenic technologies can make industry better in a number of ways. Not only can our technologies help to improve the strength and longevity of equipment that is necessary for working in areas like the oil fields, but we can also use our cryogenic technologies to break down and recycle materials that were previously too tedious to manage. Millennium Cryogenic Technology’s recycling process provides a vehicle through which materials that were previously next to impossible to break down and reuse can now be broken down, recycled and reclaimed while enhancing the mechanical properties of their metal components. For example, power sections for oilfield downhole drilling motors and progressing cavity pumps, even taking coatings off parts and pieces. 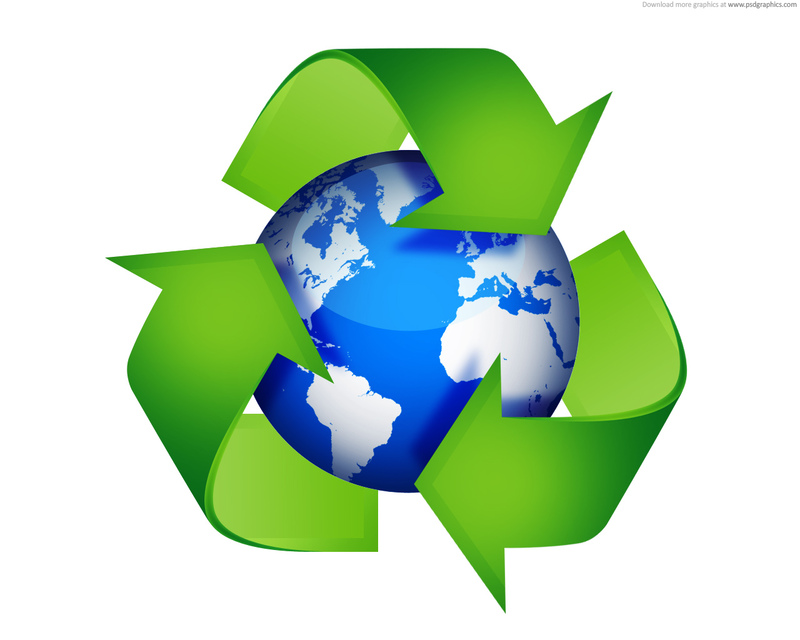 This is particularly important for industries where the metal is reused and the polymer is recycled. Cryogenic recycling can work on plastic and rubber products—products which ordinarily take years to break down on their own, and which can become expensive both to replace and to dispose of. During the process, the plastic or rubber materials, such as used tires, are exposed to temperatures nearing minus 80°C using liquid nitrogen or another form of commercial refrigerant. Once exposed to that level of extreme cold, the now-frozen rubber becomes extremely brittle, and can easily be crushed and broken. The process creates what are known as “rubber crumbs,” which can then be re-used to make new tires or other rubber applications, including certain landscaping products. While there are other processes out there that are also capable of breaking rubber down, cryogenic recycling takes less energy to complete and actually produces finer and more easily reusable rubber granules or crumbs. Here at Millennium Cryogenic Technologies Ltd., we are dedicated to finding new and important outlets for our technological innovations. We combine experience and innovation with the dedication to meet the highest possible standards—yours! If you are looking to incorporate cryogenic technologies into your industry, contact us today. We are dedicated to providing the highest quality of services using the most innovative forms of technology across a diverse range of industrial applications. From creating material property enhancements in the oil and gas field, to helping to increase the performance of parts and tools in the manufacturing industry, to helping in the creation of parts that are better able to perform under conditions of high duress in the motorsports, the opportunities when it comes to cryogenic technologies are innumerable. In the forestry industry, we tend to think of products made of wood. However, the fact is that the people who harvest wood and tend to the forests that produce it are mostly using tools made of metal. From simple hand tools like saws and knives to high-powered machinery like shredders and tractors, forestry needs quality metal tools. Forestry cryogenics is all about providing people who work with trees with the tools they need to get the job done well. 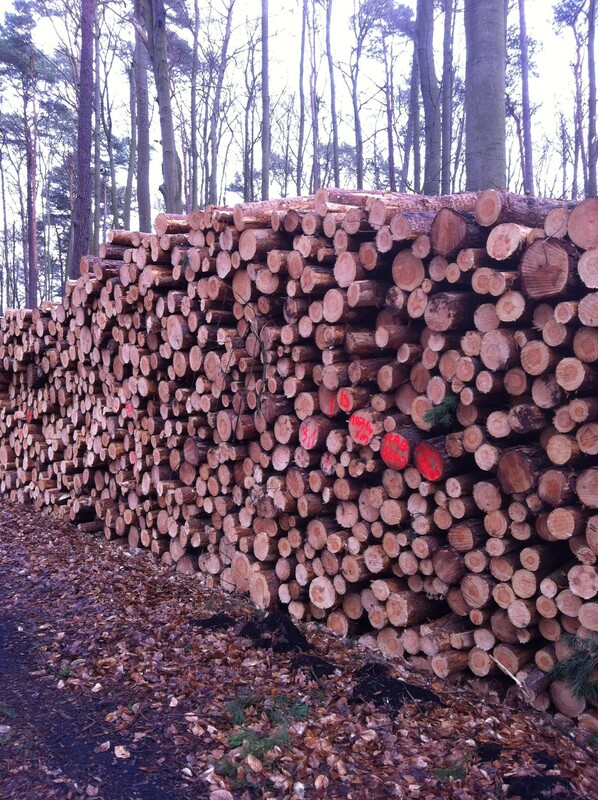 Forestry cryogenics is all about improving the industries associated with forestry. Of course, the superior metal produced through cryogenic processing contributes to the efficiency of tools and machines. When tools and machinery break down or wear out, it obviously slows things down. That’s where MCT Cryo comes in. We create blades, machine parts and tools that last for a long time without losing their edge or their strength. It makes for an easier day on the job. MCT Cryo is a huge contributor to on-the-job safety. Stronger, more reliable equipment is absolutely necessary when working with trees. Equipment failure causes unacceptable safety hazards when a worker is up in a tall tree, pruning heavy branches or sawing through the trunk. Safety is even more crucial when removing large, unhealthy trees, which can break and fall in unpredictable ways. Forestry cryogenics technology creates tools that will come through even on difficult jobs. Of course, forestry-based industries aren’t just about harvesting trees. Many industries are all about conserving our forests through cultivation, wildfire prevention and tourism. MCT Cryo is proud to be a part of the effort to keep this world’s forests healthy. Whether it’s helping to fuel the world’s industries or preserve the world’s beauty, whether it’s keeping people safe or just making the job more efficient, forestry cryogenics is at the forefront of forestry technology. Although cryogenics can be a difficult process to understand, it can be simplified by explaining how cryogenics for rifle barrels increases their efficiency, accuracy and life span. Just like with tools, at Millennium Cryogenic Technologies we can double the life expectancy of your rifle barrel, and as fellow Albertans, we know how important hunting season is. With the short hunting season—if you’re one of the lucky ones who wins the hunting draw—you need a rifle that matches your stamina. The best way to do that is with cryogenics for rifle barrels. Thankfully, we can do that for you. Simply put, a cryogenics rifle barrel treatment uses liquid nitrogen to lower the gun’s temperature to well below freezing. The rifle barrel is kept in this state for 24-hours to alleviate the lingering stresses and imperfections created when the rifle was being manufactured. It’s also important to note that cryogenics for rifle barrels only has to be done once to double the life span of your rifle. At Millennium Cryogenics Technologies, we are dedicated to helping Albertans understand cryogenics and how it can be used in everyday life, and in industry. If you’re an avid hunter, or a beginner, try out cryogenics for your rifle barrel. And if you’re curious about anything else to do with the cryogenics, check out our website, or contact us anytime. Millennium Cryogenic Technologies (MCT) has established itself over the past decade as a leader in cryogenics in North America, servicing a wide variety of clients including NASA. One of the many services offered by MCT is their patented cryogenic stator removal. Through a controlled process that is both environmentally friendly and efficient, MCT removes stators from power sections and PCP pumps at a high speed. In addition to the removal, the process greatly improves the wear resistance and mechanical properties of the housing and tool joints. MCT offers this service for pipe sizes from 1” OD to 12” OD, pipe lengths up to thirty-two (32) feet, and with an average process time of six (6) stator housings per hour. Our cryogenic stator removal process avoids thermal shock, which is traditionally a side effect of such a process that inevitably leads to micro cracking and distortion of the stator housing. Our unique process is patented in Canada and the United States (Canadian Patent 2371155 and RE44403 in the USA). Millennium Cryogenic Technologies Ltd. has a long history of combining experience and innovation to establish new technologies to assist in the oil and gas industry among many others, and cryogenic stator removal is just one example of this. Cryogenic technology is used to facilitate advanced material performance enhancement through controlled thermal processing. MCT’s cryogenic processes more than double the wear resistance and durability of the majority of metals, ferrous and non-ferrous alike. Cryogenic stator removal further contributes to the efficiency of cryogenic processing as MCT serves to establish it as a must-have component in the industry. For more information on cryogenic stator removal or any of our other services, contact us today. Flash, or flashing as it is sometimes called, is residue left on an object that has been molded or cast. It’s a common occurrence for any material that is poured and hardened. Flash is very common in the rubber industry and there is a safe, effective cryogenic method to remove it. Millennium Cryogenic Technologies provides cryogenic rubber deflashing in Nisku using a combination of liquid nitrogen, high speed rotation, and shot blasts to achieve smooth, precise results. The cryogenic process makes the flash brittle. Once brittle, it can be cleanly broken away from the main rubber tool or part. The rotation and shot blasts safely removes the brittle flash. The method varies depending on the type of flash and rubber part. In some instances, tumbling is sufficient to remove the flash and blasts or not needed. 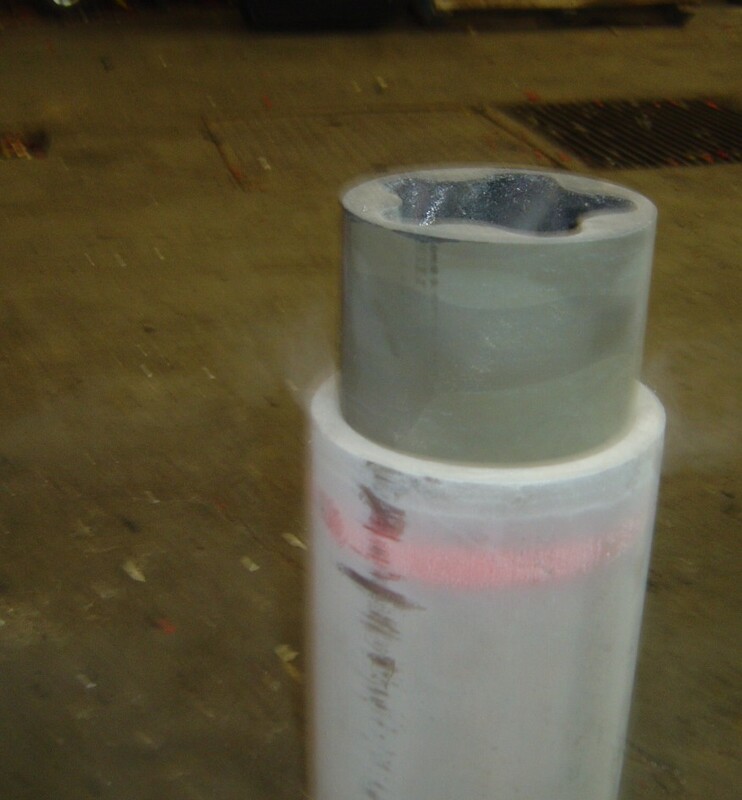 Here at Millennium Cryogenic Technologies, we use our expert knowledge of rubber deflashing to create the optimal solution for your deflashing in Nisku needs. Does this method work on other materials? Cryogenic deflashing is not just for the rubber industry. Many other industries take advantage of this affordable method as well. For example, plastic goggles, gaskets, washers and die casts are just a few of the many materials that are typically deflashed. We’ve been in the cryogenic business for many years and enjoy serving customers all over the world from our Nisku location. If you have products that need deflashing, contact us. We’ll be happy to discuss your needs and provide you with a quote. We look forward to showing you how Cryogenic deflashing in Nisku is safe, affordable and highly effective. In the last blog we separated some myths from facts about cryogenics. Now that you know cryogenics can be applied to almost every industry, let’s take a closer look at cryogenics in Alberta. There is no doubt about it. Alberta is run on industry. While the technology sector is quickly turning into a powerful economic contender, when you hear Alberta, you think oil and gas. Alberta’s oilsands accounted for over 22 per cent of the province’s gross domestic product in 2012 and as of last year, there were well over 100 active oilsands products in Alberta. 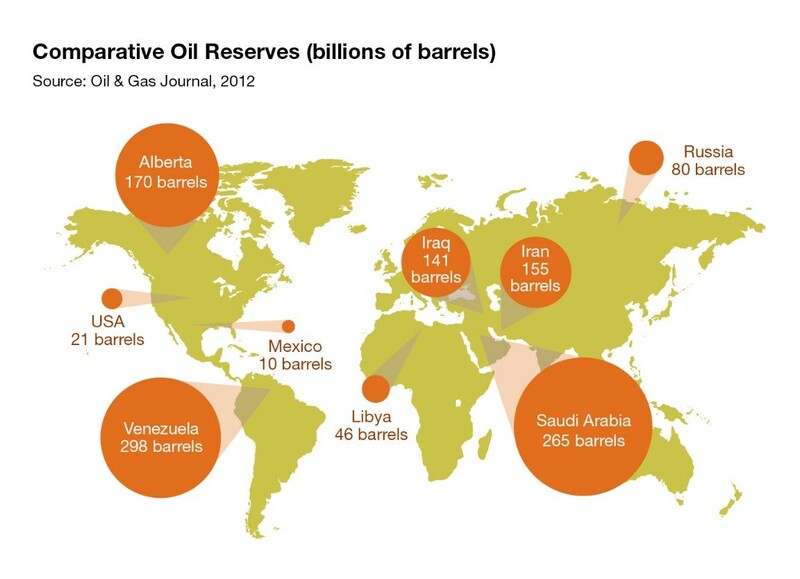 Alberta’s oil production is very strong in the world market as evidenced by the infogram below. When we have a resource that is so important to our wellbeing as a province and a country, it makes good sense to find ways to access this resource in the most efficient manner. That is where cryogenics in Alberta comes into play. There are many ways cryogenics in Alberta is used; and one of these ways is to increase the durability of oilsands tools. Just think of all the equipment used in the oil sands: the heavy hauler trucks that transport the product, fleet vehicles going to and from sites, all those small parts and gears inside the machinery and even the hand-held tools needed on the job site. When we take these metal components and treat them cryogenically, we dramatically increase their durability. [Treating metals cryogenically] can have a profound effect on the mechanical properties of certain steels, provided their composition and prior heat treatment are such that they retain some austenite at room temperature. It is designed to increase the amount of martensite in the steel’s crystal structure, increasing its strength. Presently this treatment is being practiced over tool steels, high-carbon, and high-chromium steels to obtain excellent wear resistance. Recent research shows that there is precipitation of fine carbides (eta carbides) in the matrix during this treatment which imparts very high wear resistance to the steels. In short, cryogenics makes metal tools/components stronger and makes them last longer. Cryogenics in Alberta improves the way we mine our valuable resources. Any time equipment breaks down or needs to be repaired, there is a loss of time and dollars. As disagreeable as the saying “time is money” can be, it is true. The time spend repairing or replacing equipment cuts sharply into profits. Additionally, major oil sands developers are always interesting in using eco-friendly processes. They know mining has an unsavory reputation when it comes to land conservation and protection; therefore they work tirelessly from the outset of each project to make sure the land is protected, reclaimed and as little waste is produced as possible. When these developers invest in cryogenics in Alberta, they reduce the amount of waste they produce because their tools and tool parts last longer and work better. Cryogenics in Alberta makes our important work in the oilsands more efficient and less wasteful; and since the oilsands help to power our prospering province, any clean, environmentally friendly, cost-effective process that improves energy mining is a process worth investing in. Millennium Cryogenics Technologies is pleased to provide cryogenics in Alberta to improve the wear resistance of metal tools. Contact us today to learn more about how we can help you. Welcome to the Millennium Cryogenic Technologies blog, your information source for how and why cryogenics is applied in real world. Cryogenics has been made popular through Hollywood movies such as Alien, Encino Man, Vanilla Sky and the recent Star Trek: Into Darkness. But despite tinsel town’s (very inaccurate) portrayal of cryogenics, this technology is used for very practical reasons. In fact, cryogenic technology is available right here in the Edmonton region! 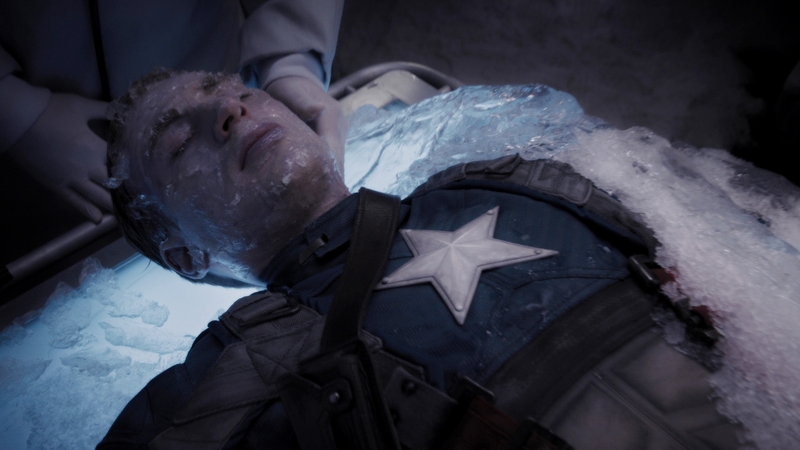 This is not how cryogenics works…. To start, let’s debunk a few myths. Myth: Cryogenics is all about freezing and resuscitating bodies. Myth busted – sort of. Cryotherapy is a term that describes medical treatments involving low temperatures, but the practice of freezing a body solid thawing it out years later is not standard practice. That doesn’t mean people don’t try. Places like the Alcor Life Extension Foundation practice cryonics. Cryonics, according to their website, is “the science of using ultra-cold temperature to preserve human life with the intent of restoring good health when technology becomes available to do so.” To date, however, cryonics has not moved past the freezing stage and current technology does not exist to bring a dead, cryonic-frozen body back to life. Myth: Miraculous stories exists where people are accidentally frozen and return to life after they are thawed out. Myth busted! There is no shortage of stories about people that tumble into icy water or are found outdoors in the snow only to return to a full and healthy life after they warm up, but don’t be fooled. These are cases of suspended animation, or forced hibernation. The body has not actually perished. Check out this Live Science article for a full explanation. Myth: Cryogenics is only for human application. Definitely busted! Cryogenics is a technology used across many industries, from the medical field to food service. We should know – we provide cryogenic services for many of those industries. Cryogenics is a broad term that describes applying below-freezing temperatures to alter the state of matter, be it food, a body, metal or more. Although we are still years away from freezing a body solid and returning it to life, cryogenics is still an exciting, innovative, technologically-driven field. Cryogenic technology exists right here in Edmonton, Alberta. We are located in Leduc and service clients across Alberta and North America. Our services involve using cryogenics to enhance the service life of metal tools. Millennium’s technology has been applied on oil sands tools, on fleet and race vehicles, on rifles, mining equipment, forestry cutting instruments and more. You see, when you apply cryogenic technology to metals, you radically change their durability. 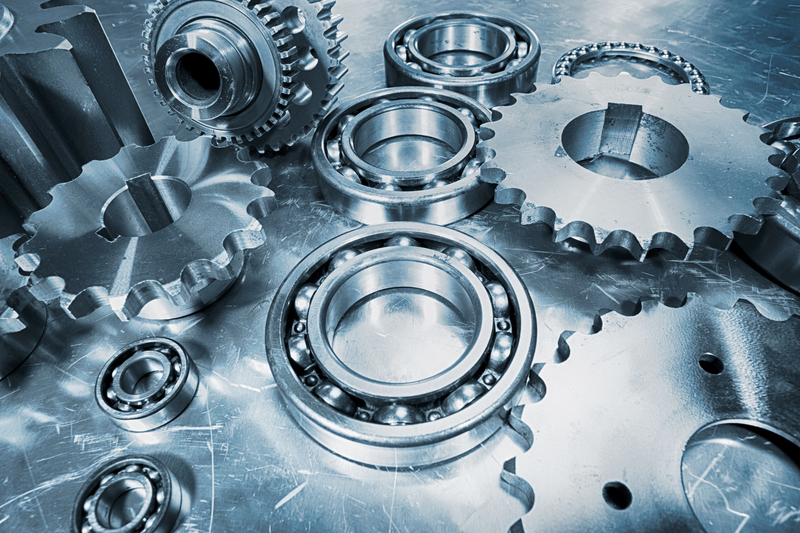 The process hardens and refines metals, making them far more efficient for field use. Millennium is proud to say we can more than double the life expectancy of many metal-based tools. At Millennium Cryogenics Technologies, we are dedicated to helping you learn more about cryogenics and how it can be used in your industry. Stay tuned to this blog to learn more and contact us anytime to discuss how our services can benefit you.